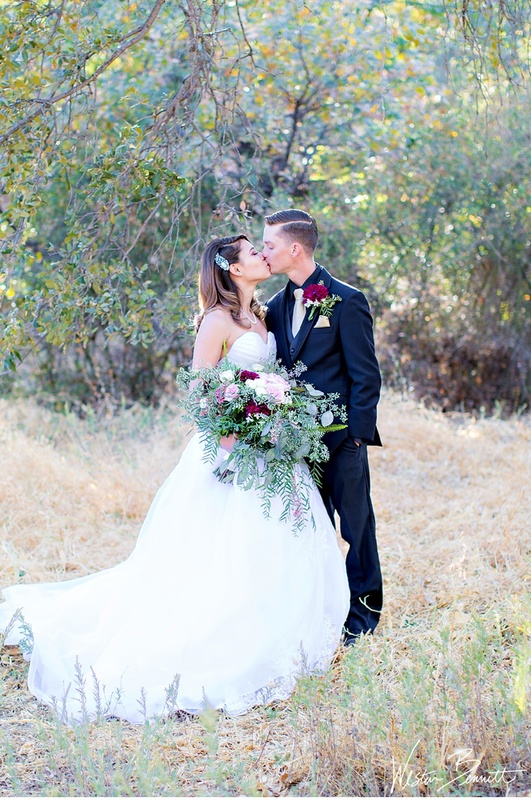 Michelle and Robert met the old-fashioned way; her mom set them up! And it turns out that mother really does know best, because these two very quickly realized that they were head-over-heels in love. Nice job, mom! 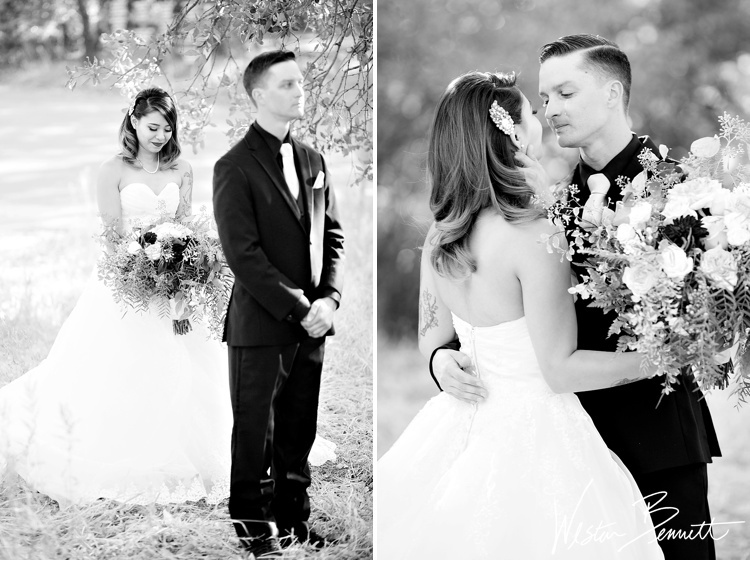 Robert and Michelle's wedding was the perfect blend of tradition and uniqueness! 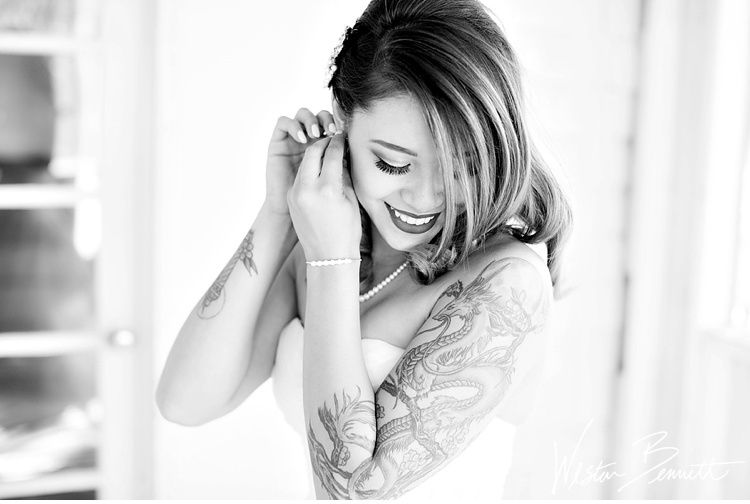 I loved the juxtaposition of Michelle's pearls (passed down from her grandmother) and her incredibly beautiful sleeve tattoo that she designed herself! And don't let the tattoos fool you. 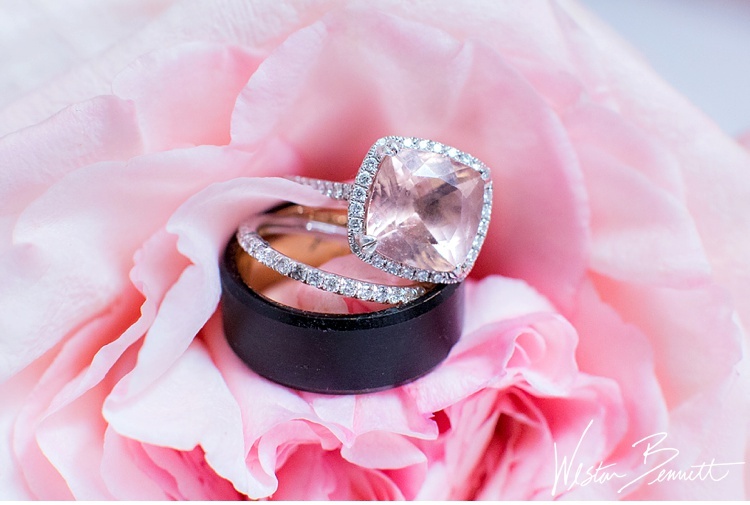 It was an all pink wedding for this self-proclaimed girly girl, including her absolutely stunning engagement ring! 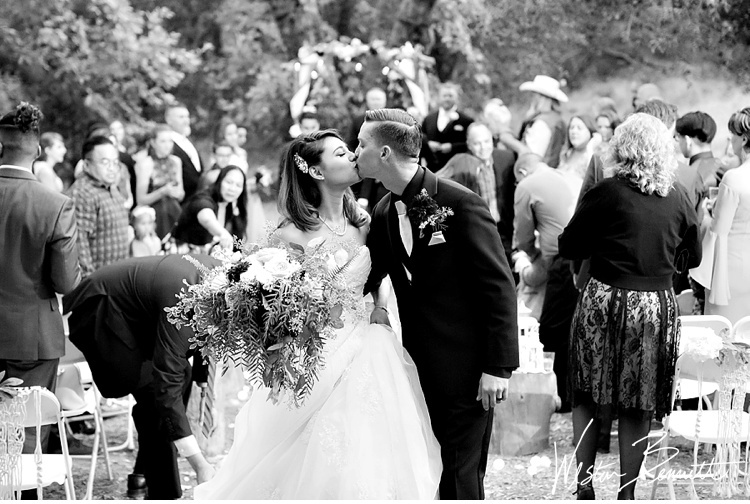 There were tears all around when Robert first saw Michelle before the ceremony. A first look for the books! You can see his deep love for Michelle every time he looks at her! What an amazing moment! 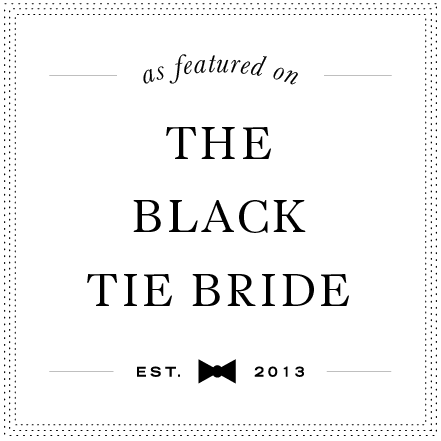 Their wedding party was full of friends, family, and of course, Michelle's sweet dog in a tuxedo! 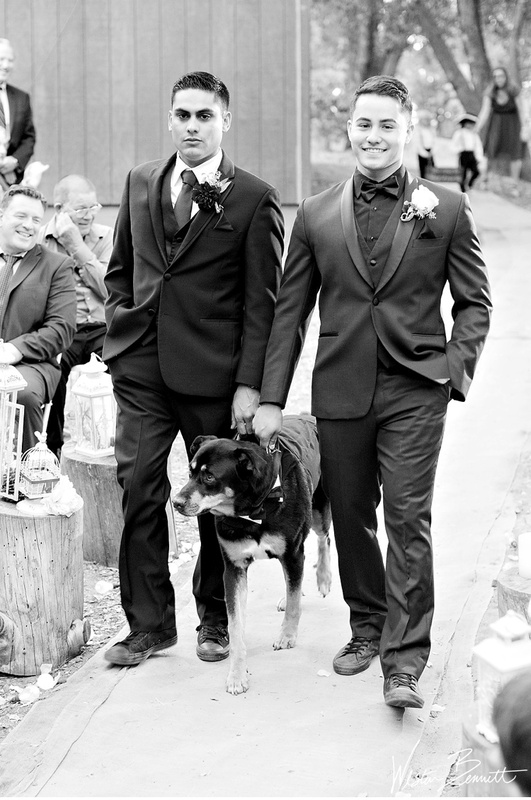 Can every wedding please include dogs? That would be great! 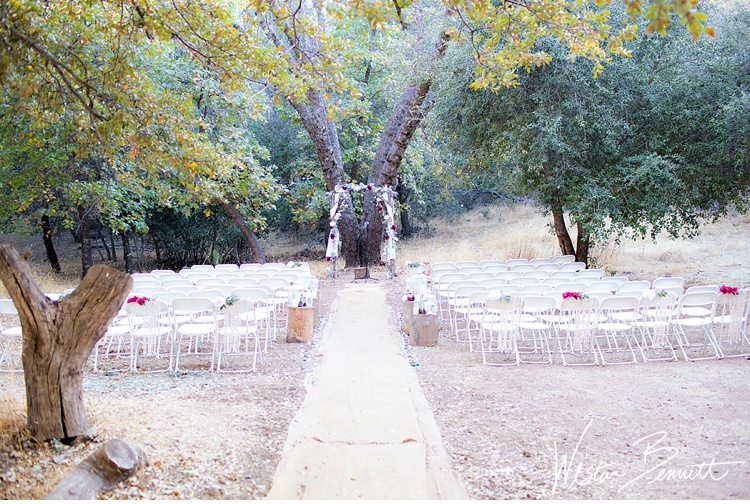 The Pine Hills Lodge in Julian, CA was a perfect fall setting for this beautiful wedding! 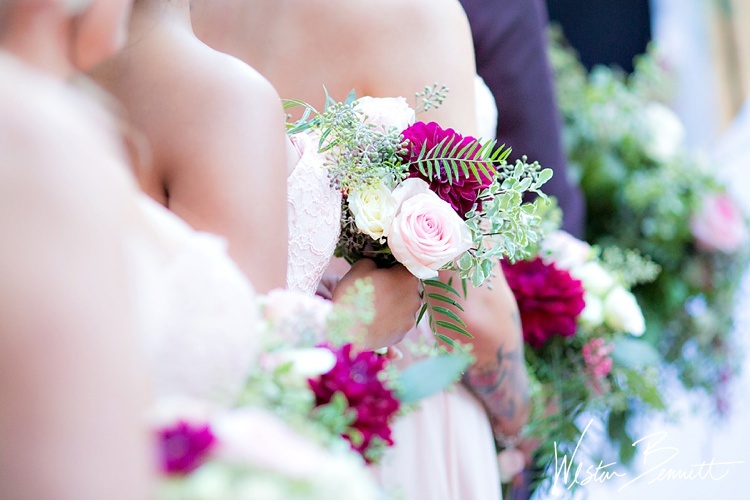 It was a fantastic day from start to finish! Michelle and Robert, I wish you all the best in this incredible new adventure! 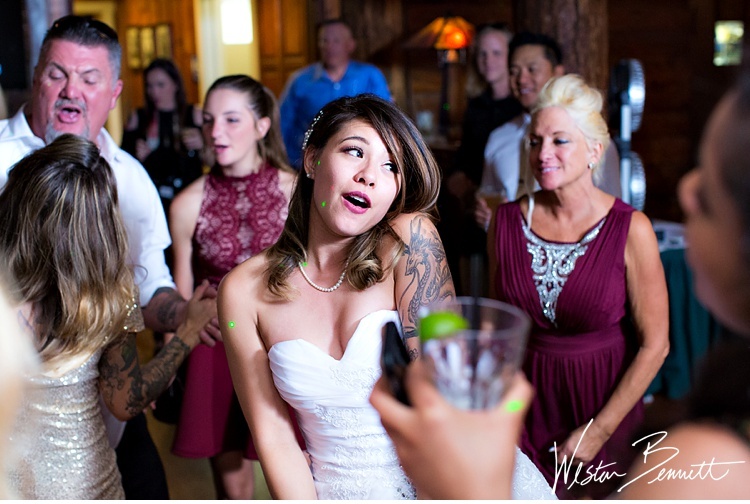 It was such a joy spending your wedding day with you! Best wishes, my friends!